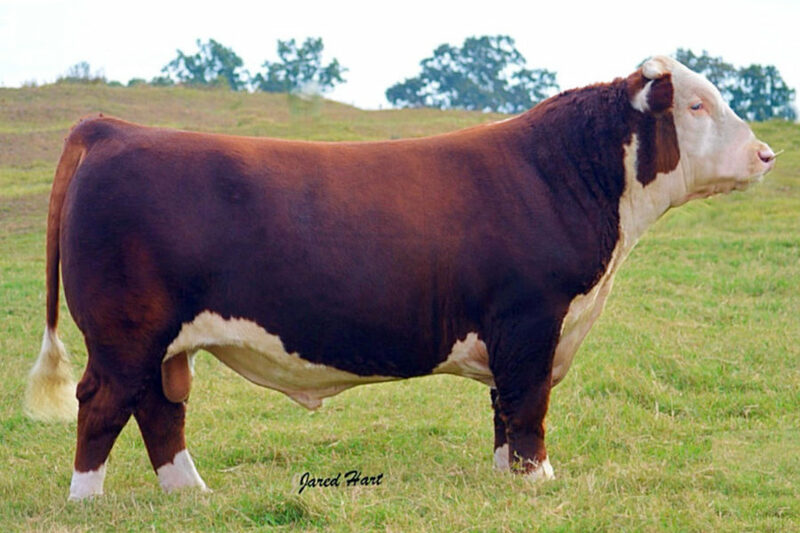 1607 combines the numbers and the genetics many progressive Hereford breeders are seeking into a powerful, champion phenotype. Sired by the breed leading 88X and our cornerstone female T137, 1607 sold in the 2015 ProfitaBull Sale to Empty Pockets Herefords for a $22,000 value. He’s had a successful show season this summer. 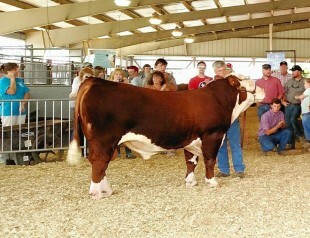 Known in the show barn as “Bill”, he was Reserve Champion in his debut at the Southeastern Regional. He went on to win Grand Champion at the TJHA State Show and the Wilson County Fair, the largest county fair beef show in Tennessee. 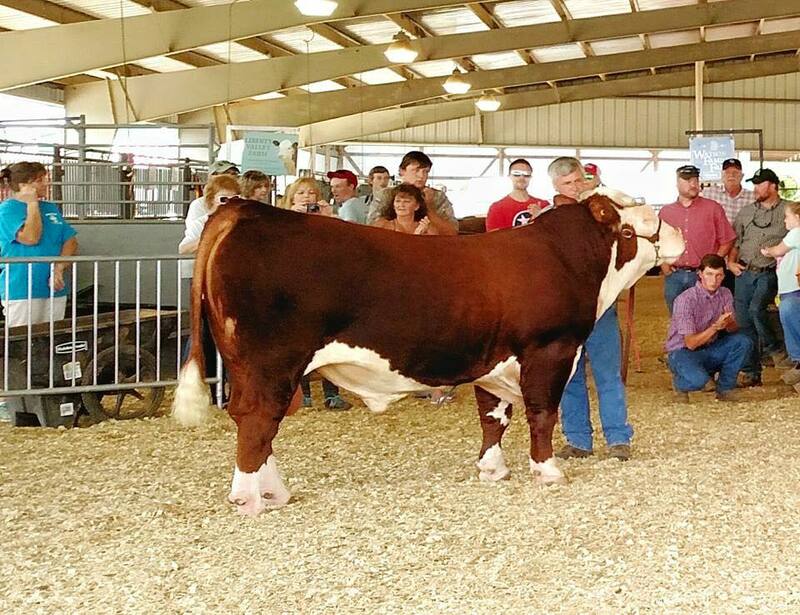 Bill was a crowd favorite while winning his division at the THA State Show and the Missouri State Fair. He’s had a great rookie year, and we think he will continue to produce and have a long career as a breeding bull. Owned with Hidden Acres Farm & Empty Pockets Farm.